There is no question that LinkedIn is a powerful online networking and publishing platform that can help entrepreneurs grow their business. You may also have noticed that LinkedIn has been making a lot of changes recently. So now is a great time to ensure that your LinkedIn networking plan is in great shape for the year ahead. Who is this LinkedIn Masterclass Relevant For? You are an entrepreneur or business owner who is new to LinkedIn and is not sure how you can integrate the platform into your business development and networking to help you build your visibility and attract your target audience of clients or customers. Perhaps you have been on LinkedIn for some time but are not currently actively using the platform? Then this is an ideal programme for you. 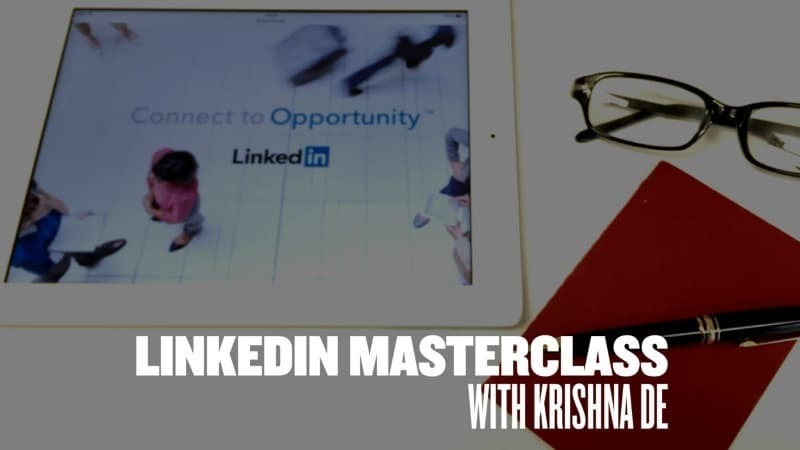 What Will You Learn In The LinkedIn Masterclass? – Tips for integrating LinkedIn into your marketing communications online and offline. What Will Not Be Covered In The LinkedIn Masterclass? Due to time constraints, the topics of LinkedIn Company Pages and LinkedIn advertising will not be covered in the programme. How Will You Be Supported After The Programme? Dependent on the number of attendees for this programme, you will be invited either to a follow up webinar or invited to schedule a 15 minute online meeting with the course tutor 30 days after the programme. This will enable you to ask any outstanding questions to support you in putting what you learn in the LinkedIn Masterclass into practice. What Do You Need To Bring With You To The LinkedIn Masterclass? If you would like to follow the programme online during the event please bring with you your laptop and power supply. You will also need to have access to your personal LinkedIn profile so make sure that you have a note of your account log in details including your LinkedIn password. Note: We will not have time to create a LinkedIn account during the programme so please ensure that you have created your LinkedIn account and completed the basic details before attending the programme. The half day workshop can been scheduled by your organisation or company as an inhouse programme and will be customised to be relevant to your business or organisations sector. The programme can also be taught by distance learning and can be extended into a full day programme to provide time for delegates to work on developing their profile while in the workshop. Contact Krishna De to schedule the workshop for your organisation.